They will either have to convince a lot of people that the brick form is an improvement over the DSLR / potato form to some degree or start making their cameras look and feel more like DSLRs. Since people are more comfortable with what they know.. what they're familiar with. The only "brick" like mirrorless is the K-01,and perhaps to some the Panasonic GX8. 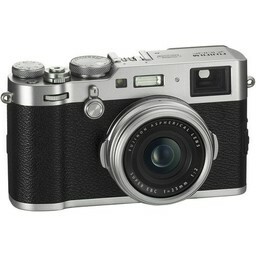 There are many Dslr like M/L models...and there are some "rangefinder" like shapes. This Nikon isnt in the POTOTA shape as you call it,well these drawings dont depict it that way( but whats drawn maybe different to the end product)??? At this stage,theres no news from the Canon camp either....except the rumour that they are doing a FF M/L in 2018. I would hope so the K-1 sensor is based on 7-8 year old sensor tech. It still yields amazing image quality, but its really to slow for mirrorless. Just look at the Fuji GFX 50 or the A7r. Neither of them can AF ins low light very well at all. 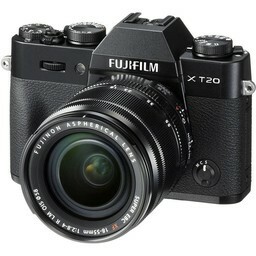 The next generation of Fuji MF cameras are going to be very good. 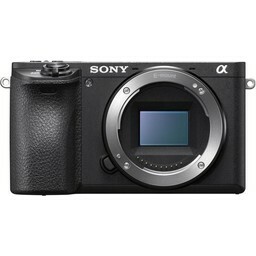 I think Sony has a clear advantage in sensors and mirrorless. Maybe Nikon will buy TJ to bring that part of the production in-house. Just the sheer volume of sensors that Sony designs and manufactures allows them to spread the R&D costs out of many different products. Sony was using the same wafer for the D800, D810, K-1, K-5, K-5II, K-5IIs, A7r, 645z, GFX-50, Fuji X-T-1, Fuji X-Pro, and what ever Nikon APS-C camera were using the same 16MP sensor. That is a whole lot of different cameras using the same sensor tech/wafer. I don't think TJ is going to get that kind of volume out of the D850 sensor unless they can sell it to Ricoh or other manufacturers. My guess is that Nikon actually designed the sensor and TJ is simply the fabricator and that is going to make it an expensive sensor, but it will be exclusive to Nikon. And yes the patent drawings don't necessarily indicate final product form. They're just used to document specification to get the patent. Lens performance, size, and weight have increased over the years though (think K series 80-200 f/4.5 at 555g to D-FA series 70-200 f/2.8 at 1755g!). So the basic design of the past doesn't really meet the needs of today, now that we have larger, longer primes and a variety of bigger zooms. I expect a more hybrid design (brick meets potato) to happen. Or at least I think it needs to happen and it seems Sony is slowly at least offering larger handgrips in their designs. it seems Sony is slowly at least offering larger handgrips in their designs. Yes, nice cameras.I own a few. None of these are bricks. Try and build a wall with them! Yes, however the M43 people occasionally call the Pano GX8 "the brick"...but i think its only the bricks little brother! Last edited by surfar; 01-14-2018 at 11:38 AM. Yes, i tried that...but those "bricks" are too thin...i had to lash 3 together(after all that chiselling) to get a width that would make a stable wall. Mind you, the K-01 you dont have to chisel(no VF)...the original brick. It's not just sensor speed that matters. 120 fps can only happen if the lighting, aperture, and operating ISO permit a 1/120 shutter speed or faster. Dim lighting, slow apertures, or heavy filtration force AF to slow down and the EVF to lag. You don't think so huh? Ok. We can argue semantics all day. However, you understand exactly what I mean in reference to ergonomics and body design. Even more amusing is that the brick shape is almost always oriented and shaped as if there had to be room for a vertical film canister to the left of the lens and a take-up spool to the right. The physical requirements of a film transport mechanism survive to this day in almost all digital cameras. If the sensor is sampling at 120 cycles per second it doesn't matter what the aperture or lighting it and ISO has nothing to do with it. You need to use the A9 for a little while if you think what you wrote is true. The EVF is refreshing at a set rate no matter what. Sigma to announce their new Sony/Nikon M/L FF lenses @ CP+ is the latest RUMOUR...maybe we will learn more about the Nikon FF m/l then? So many posts from my BoriscletoTM list. When there is actual hard news, I'll be interested to read it.